International Cruise Insurance plans provide trip cost reimbursement benefits that help ensure you're prepared in the event of an accident, sickness or loss before or during your vacation cruise. These cruise travel cancellation insurance plans also provide reimbursement if your trip is interrupted or cancelled as a result of tour operator or travel supplier default, weather that causes complete cessation of services, or a number of other events that may cause disruption or cancellation. 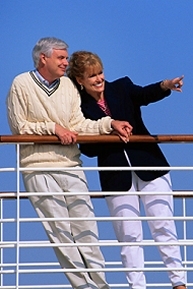 We offer a choice of three international cruise insurance plans. CSA covers departures from the USA or Canada. Click links below to view details and apply online. * The brochure is only an example of coverage's and may differ due to your state. Please fill out this quote request form and we can send you the specific brochure for your state upon your request.